Court declares the name ‘State of Osun’ as illegal – Royal Times of Nigeria. 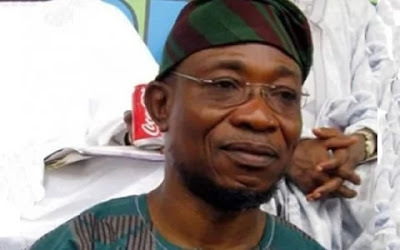 An Osun State High Court sitting in Ilesa has said the changing of ‘Osun State’ to ‘State of Osun’ by the administration of Governor Rauf Aregbesola is illegal. Justice Yinka Afolabi, while delivering the judgment on Thursday in a case instituted by Chairman, Nigerian Bar Association, Ilesa branch, Mr. Kanmi Ajibola, challenging the legality of the “State of Osun Land Use Charge Law,” held that the law and its makers were unknown to the 1999 Constitution. He also declared that the makers of the law, who are currently serving as members of the State House of Assembly, were not sworn in as members of the ‘State of Osun House of Assembly,’ but as members of ‘Osun State House of Assembly,’ going by the Seventh Schedule of the Constitution. Justice Afolabi stated, “The executive governor of the state changed the name in 2011. The renaming of a state goes further and deeper for anyone to single-handedly do. “On the oath of allegiance, I state that the Seventh Schedule is part of the law. It is not a mere draft or a mere oath. It does not give room for any alteration. “After deposing to an oath of office, you cannot turn around to do otherwise,”. The plaintiff had sought an order setting aside the “State of Osun Land Use Charge Law, 2016,” having been enacted by the legislative body that is not known to the Constitution and for the state not known to the 1999 Constitution of the Federal Republic of Nigeria (as amended). It is not enforceable in Osun State. Among other reliefs sought, the plaintiff also prayed for “a declaration that Osun State Government, having been delegated with the power to collect Land use charge revenue by the provisions of sections 2(2) and (3) of the “State of Osun Land use charge Law, 2016,” sections 4(1), 8(2), 10(1) & (5), 16(c)(i) & (ii), 17, 18, 21(3) and 22 of the “State of Osun Land use charge Law, 2016,” are not operable without appointing the Commissioner of Finance in Osun State. Justice Afolabi threw out all the arguments by the State Attorney-General, Dr. Basiru Ajibola, who was the counsel for the governor and the state government and that of the Director of Legal Services, Mrs. Rachel Ojinni, as he granted all the seven prayers of the plaintiff. State Attorney-General, Dr. Basiru Ajibola said the state government would appeal the verdict at the Court of Appeal.